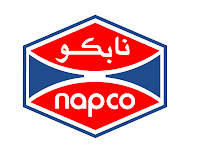 Effective 26 September 2007, Edmond Karim will assume the position of Deputy General Manager of Napco Consumer Products Company (NCPC) in Dammam, Saudi Arabia. Edmond first joined Napco Group in 1994 in the Accounts Department in National Paper Company Limited (NPCL) in Jeddah. Since then, he has assumed a number of challenging positions, including Accounts Manager and Plant Manager. In 2005, Edmond joined NCPC as Marketing Manager for the Eastern Province and GCC countries. Join us in wishing Edmond success in his new position!